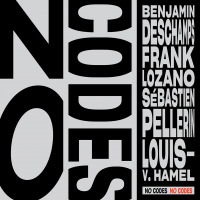 Based in Montreal, Benjamin Deschamps, named Révélation Radio-Canada Jazz 2017-18, is a really sought after saxophonist, flutist, clarinettist, composer and arranger. At the head of his own band, he won the Rimouski's Festi Jazz Grand Award in 2013 and released his first record What Do We Know in 2014 with his Quartet. Nominated twice for the Montreal's International Jazz Festival's TD Grand Award in 2014 and in 2017, he was also nominated for the Halifax Jazz Festival Stingray Rising Star award in 2018. 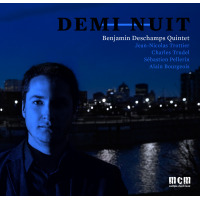 Laureate of the Jazz Creation award by the Montreal Council for the Arts in 2016, Deschamps released his second record Demi-Nuit in 2017. 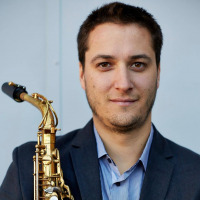 With his Quintet, laureate of the JPL Victo Jazz Award 2019, Benjamin presented his music all around the province of Quebec, Ontario and the Maritimes. In September 2018, he puts together the music collective No Codes and released his third record of original music. Holder of a Jazz Performance Master's degree form McGill University, Benjamin is a very active musician on Montreal's scene and on the international scene. We can hear him as a sideman in Rachel Therrien's Quintet, winning group of the Montreal's International Jazz Festival's TD Grand Award in 2015 with whom he toured in western Canada and in Mexico City. We can also hear him in the Charles Trudel Ensemble, laureate of the Rimouski's Festi Jazz Grand Award in 2017 with whom he toured in France, Belgium, Abitibi and the Lower St-Lawrence. Benjamin also did a tour with his quartet in France in 2018. Furthermore, Benjamin did many tours at an international level, notably with Jacques Kuba Séguin's group Odd lot in Poland, with the production Forever Gentlemen in France, Belgium, Switzerland and more recently with Garou in Russia, Ukraine, Moldova, Belarus, Romania and Azerbaijan. Deschamps accompanied Mario Pelchat for his tour Les Prêtres on flute and piccolo and he played flute, alto flute, alto sax and tenor sax on the Broadway show on tour in Montreal at la Place-desArts, Beautiful : The music of Carol King. All About Jazz musician pages are maintained by musicians, publicists and trusted members like you. Interested? 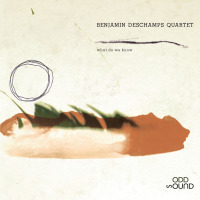 Tell us why you would like to improve the Benjamin Deschamps musician page.